There are various causes of hair loss ranging from environmental or lifestyle factors. However, hair loss can occur due to health concerns, and sometimes, even without a proper reason. That condition is called alopecia areata. People with this condition recount the times where they wake up with hair all over their pillow. Or how hair just falls out whenever they are upset. This is a rare but highly distressing condition. We will tell you what this condition is all about and how it can be managed. Understanding more about this condition can better support yourself or your loved ones. 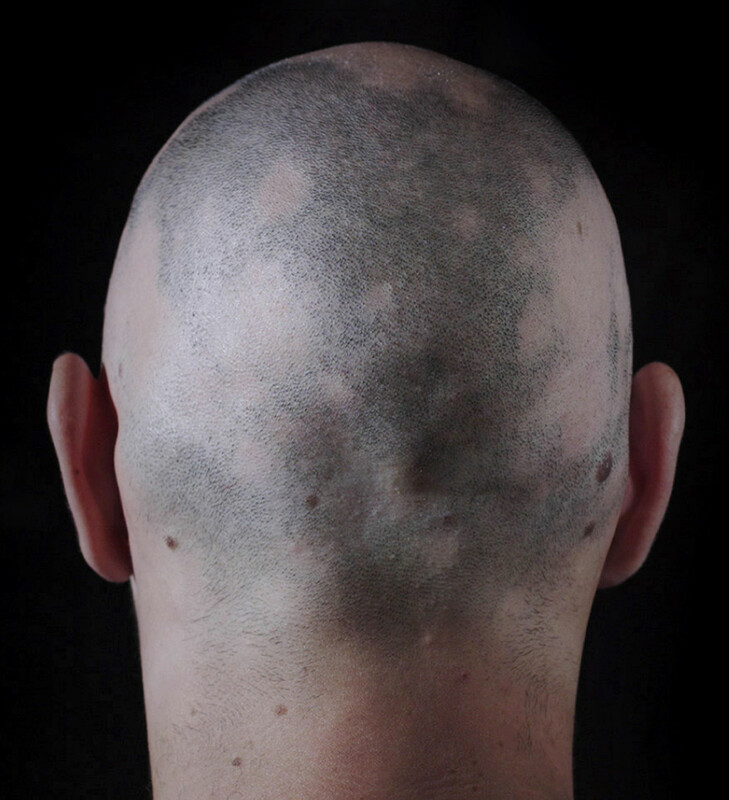 Alopecia Areata is an autoimmune disease that affects the hair follicles. An autoimmune disease is an illness where your body’s immune system attacks healthy cells thinking they are the bad ones. In this case, the body attacks the cells in the hair follicles. Hair growth stops and moves into its resting phase for an unknown amount of time. This will cause the hair to fall out in large clumps, leading to bald patches on the head. 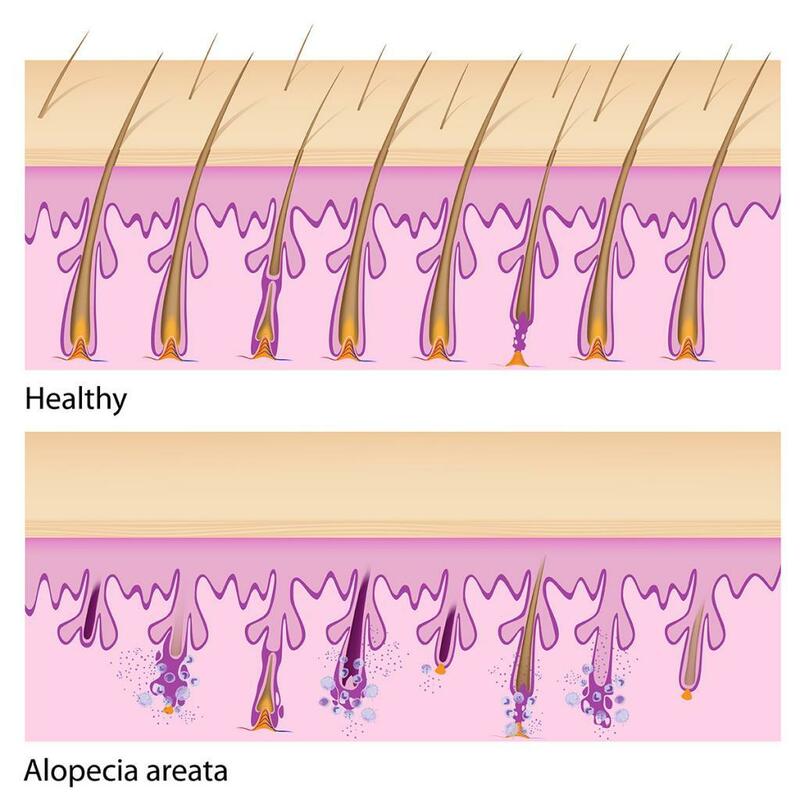 Sometimes, alopecia areata can progress to alopecia totalis where all the hair on the head falls out or alopecia universalis where all the hair on your head and body falls. There is no confirmed cause for alopecia areata. A perfectly healthy person with no significant health problems can suddenly get it. However, studies have pinpointed out a possible cause and trigger for this type of hair fall. You could be genetically predisposed to have this form of hair loss. If there is family member who has alopecia, the chances of getting it is fairly high. Furthermore, if someone has a family history of other types of autoimmune diseases (such as rheumatoid arthritis), there is also higher risk of getting alopecia. Experiencing chronic or severe stressful periods can trigger your hair to fall out. For someone who is genetically predisposed, stress triggers the white blood cells to attack the hair follicles. A little bit of stress would not trigger such a response as your immune system will be able to cope with the stressor. However, if the stressor is life-changing in a way that you feel that you cannot control anything, it could trigger your alopecia areata. Such stressors include a tougher role at work, relationship changes or death of a loved one. The most prominent symptom is hair loss. You could have small bald spots on your head or have palm sized patches too. 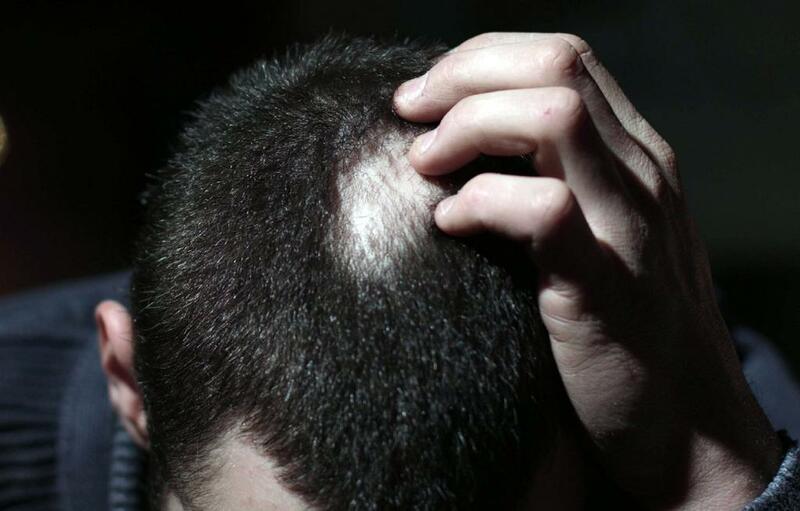 Over time, the hair loss may become worse where more hair starts falling and becoming bald. As mentioned earlier, it can progress onto losing all your hair, including body hair. If you notice this symptom, make an appointment with a trichologist in Singapore. Another observation from people with alopecia areata is that they experience some nail issues. Their fingernails and toenails become rough, discoloured and have tiny dents on them. 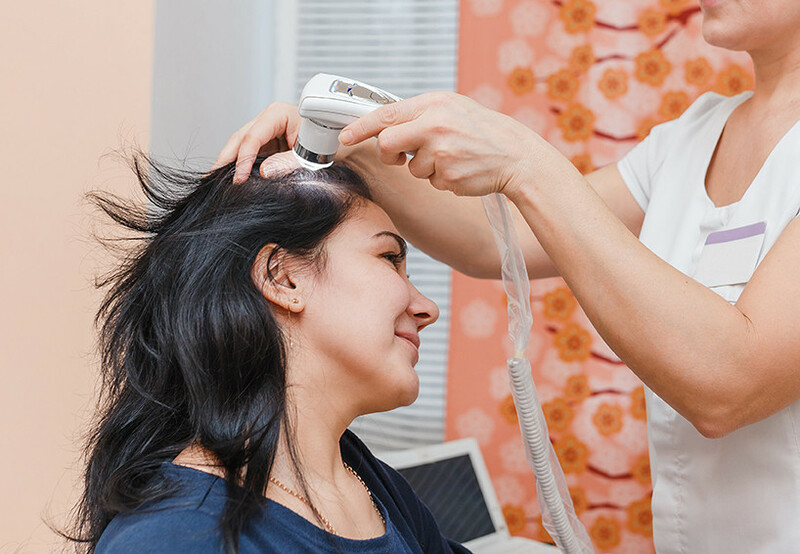 Your trichologist will do a hair and scalp diagnosis to see what could be the cause of your hair loss. They will take a hair sample and send to the labs to determine if your hair as enough minerals or have been under oxidative stress. Meanwhile, your trichologist will examine your scalp to observe the pattern on your hair fall and to also see if your scalp is healthy. You need to provide your medical history and your own observations of your hair fall. You also may need to go for other health tests to rule out other conditions. Unfortunately, there is no cure for alopecia areata. Alopecia is unpredictable; your hair can drop anytime at random spots, grow back and may even disappear altogether. That being said, it is possible that it can be managed and you can lead a normal life. Your trichologist may prescribe you some medicine to treat the autoimmune response and make your hair grow faster. There are medications that mimics an allergic reaction on the head, tricking the white blood cells to attack the reaction instead of the hair follicles. You could also be given corticosteroids to suppress the immune systems so that it does not overreact and attack the healthy cells. Hair growth serums, like minoxidil, may be used together with other medications. Do take note that these treatments must be done regularly and in the long term in order to see results. Some medication may cause harsh side effects that can affect your quality of life. You could also opt for follicle stimulation treatments to reactivate hair follicles. This should be the first choice of action before considering more invasive methods such as hair transplantation. Your trichologist will need to do a full checkup of your hair and scalp health to see if you are eligible for follicle stimulation. If you are eligible, your trichologist will nourish your scalp and prep you with medication. However, given the nature of alopecia areata, follicle reactivation may not be effective as even the stimulated hair growth may fall out. Before committing, it is advised that you talk to your trichologist to see what is the best solution to the your hair loss. A combination of folicle stimulation and hair transplant, together with medication and after-care may be the way to go. When you have bald spots, it is important to protect your scalp from the elements. Wear a hat or a scarf on your head to protect against the sun’s ultraviolet rays. You can opt to wear a wig if the hair loss is too obvious. Keep your hair and scalp healthy so that you do not worsen your hair loss. If you have long hair, try not to style up your hair too tight. Avoid harsh chemical treatments that damage the hair strands. Of course, manage your stress. Learn how to accept your condition. Leading a highly stressful lifestyle is bad for your physical and mental health, and your hair. If you have trouble managing your stress and anxiety, seek help. Talk to your family, friends or reach out to support groups. They can provide you with tips to managing your stress or at least provide you a listening ear.